We’re finishing up “The Week of Makeup Geek” a bit late due to the fact that right in the middle of the week I got a new job! I’m super excited to be working in customer service again and am enjoying my work and colleagues. It was a bit of a transition though which is why this post is coming today and not the end of the week before last, so sorry about that! However, that did give me time to film a video which shows off the custom palette from today’s post, the Starter Kit from this post, and the Mystery Bundle from this post! 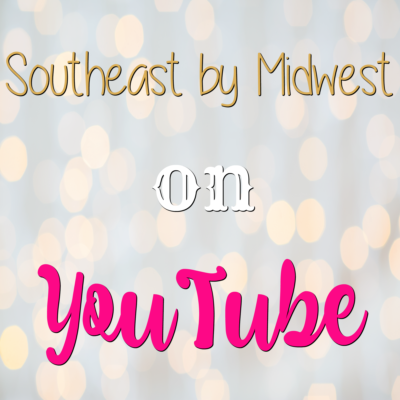 Check out the video below and make sure to keep scrolling for more information on making a Makeup Geek Custom Palette and swatches of the colors I got! 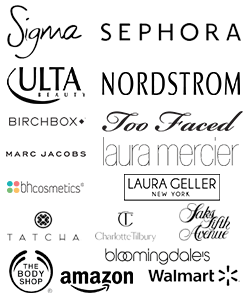 Makeup Geek is a shop and education site that is run by Marlena. You can find videos on different looks in the Education section of the site and you can find articles on things like “Best Foundation for Dry Skin” in the Tutorials section of the site. 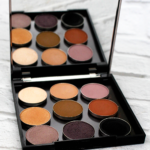 As for the shop, Makeup Geek started out as just individual pressed eye shadows for purchase and then moved onto other products like foiled shadows, pigments, lipsticks, highlighters, and even palettes! 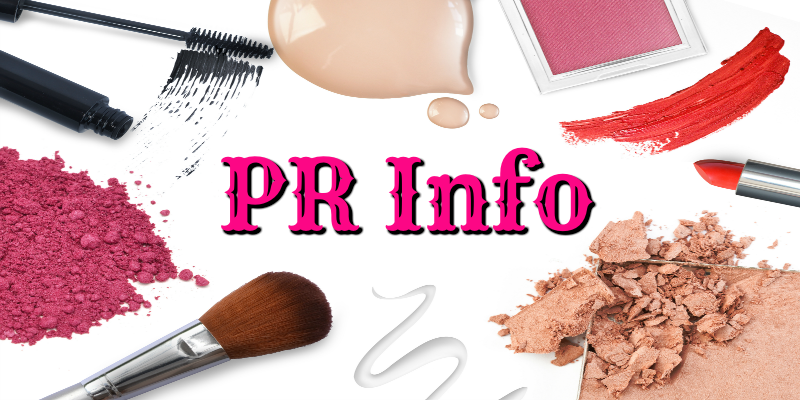 Makeup Geek currently has products that are available throughout the year and products that are only available during certain seasons, i.e. they currently have an Autumn Glow II Bundle that is only available during the fall. 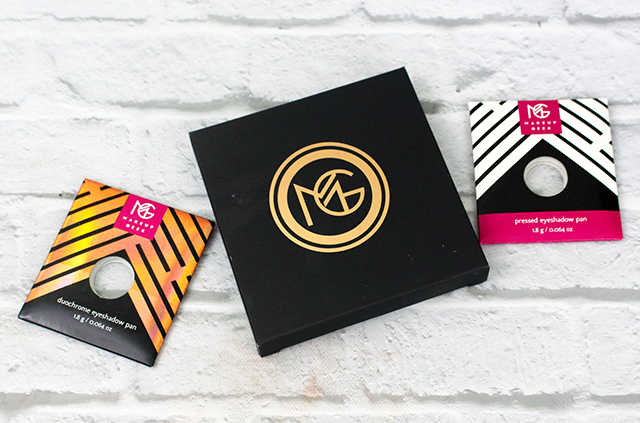 Makeup Geek also does collaborations with different YouTuber personalities like MannyMUA, an eyeshadow palette that is no longer available, and Kathleen Lights, a highlighter palette. Lastly, Makeup Geek’s products are cruelty free! 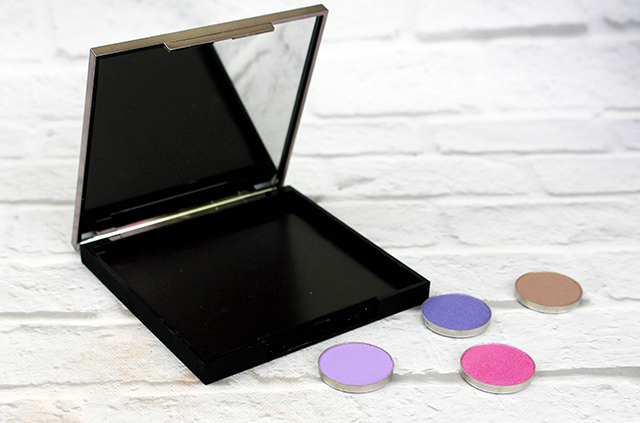 As stated in the Makeup Geek Starter Kit Bundle Post, read that here, the Makeup Geek empty palette is called the Travel Vault and comes as an empty magnetic palette. The Travel Vault can be purchased from Makeup Geek for $13 and can house any of their pan eyeshadows, blush, and contour powders. In addition, the Travel Vault can house other brands pan products as long as they are magnetic (i.e. anything you could put in a Z Palette). While purchasing a Travel Vault isn’t necessary for purchasing Makeup Geek products, it does make for a nice palette and I plan on purchasing more for other loose products I have. 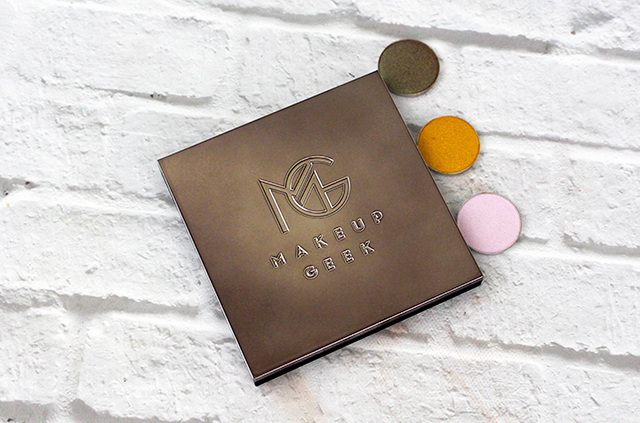 Lastly, for those who are a little hesitant to purchase a magnetic palette, Makeup Geek does offer a cardboard welled palette that can hold the eyeshadows in welled holes. You can see and purchase the 9 well palette here. Here is where the Makeup Geek Custom Palette comes in at. If you’re looking to make a palette of your own colors you can get one for as little as $67 through Makeup Geek and that includes the price of the Travel Vault! Essentially you would purchase 9 regular or duochrome shadows and the Travel Vault to make your own Makeup Geek Custom Palette. You can also purchase some of the Makeup Geek Foiled Shadows but those are $10 each instead of the $6 that the other two types are. However, it is your palette to do as you please. My Makeup Geek Custom Palette was purchased by the Hubs for me last year and he wanted to get a mix of different types of colors, formulas, etc. so that is why this palette appears so random. 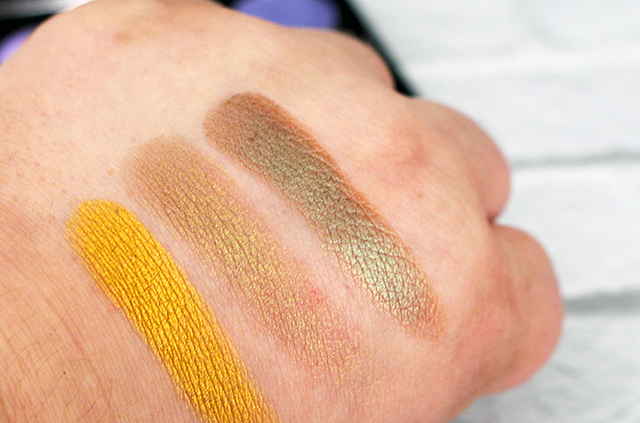 Below you will find swatches of the colors he chose! 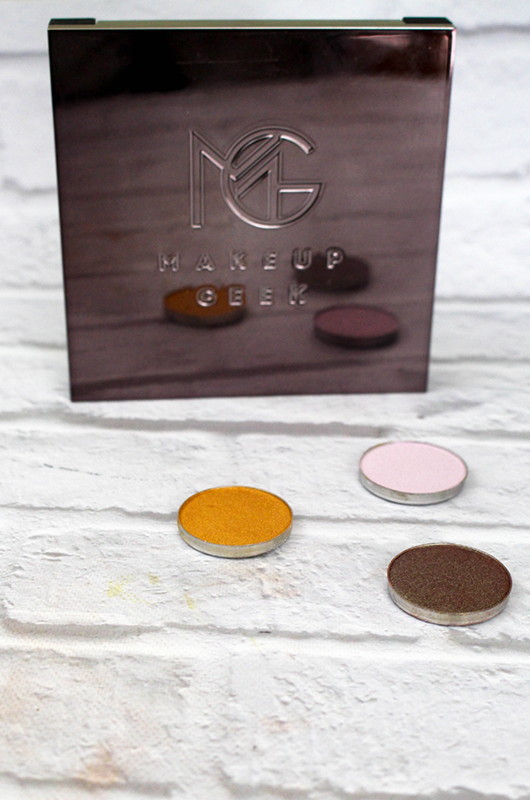 If you’re looking to get into Makeup Geek products and the Starter Kit Bundle just aren’t the shades for you then you for sure should try making a Makeup Geek Custom Palette. 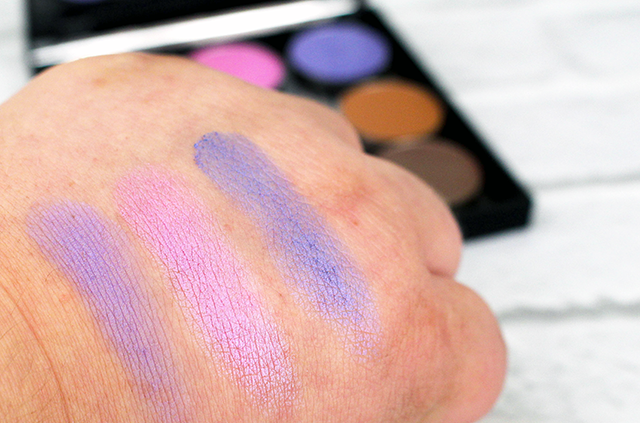 If you are someone who is looking to build your eyeshadow collection and there are shades that you don’t have (or ones that look similar to what you have and you want to see how Makeup Geek compares) then you should give the Makeup Geek Custom Palette a try. 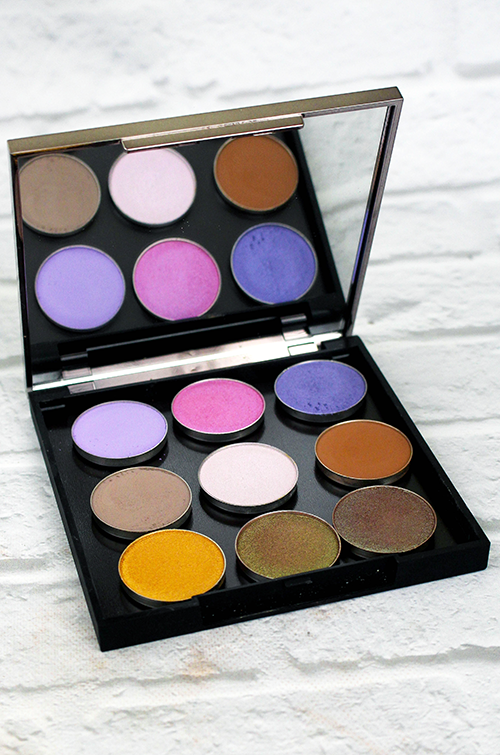 Essentially there is no reason for you not to try making your own Makeup Geek Custom Palette! I love all of the colors in this palette! There is such a nice variety of colors in there. I love that you can customize the palette according to your liking! You can put together different shades to organize how you use it, from daily looks to night ones! Love this! I think I just found the perfect gift for my eldest! She’s a sucker for good make-up and this is perfect. I’m sure she’s heard of this before but since we can customize it, we can pick colors that she hasn’t bought yet! My oldest daughter would love this! She is very much into fun makeup, and different colors. 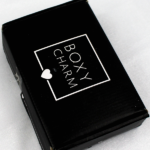 This would be the perfect stocking stuffer. When I look for makeup palette’s, I look for various colors included in the palette. This covers what I’m looking for. I love these little palettes where you can take the colors in and out like this. I really like when there is a variety of colors like this too. Pretty colors but too bright for me. Maybe as accents? Love the different looks you share! Wow! I’ve been wanting to have my own customized palette so I could put my fave shades in one place.. This looks great. I really like that it is magnetic, so cool. You can change your colors such a great idea and gift to give. This palette is so gorgeous! I love all of the colors and the packaging. So pretty! How lovely! I have always been a fan of MuG, they have beautiful products. I really need to check out this pallet too . It would be a nice gift. I have never made myself a custom pallette It would be so nice because there are always colors I don’t use. I like being able to create my very own palette of colors. I love that this allows you to totally customize. Perfect for me! I really like the idea of creating a custom palette. I think it offers you more of a chance to customize to your taste so you will get as much use out of the shadows as possible. Aren’t these colours gorgeous?! I haven’t heard of makeup geek before but I wonder if I can find it over here and try! I’d love too! I had not heard of this brand before! I love all th the colors! !i will Definitely check it out! 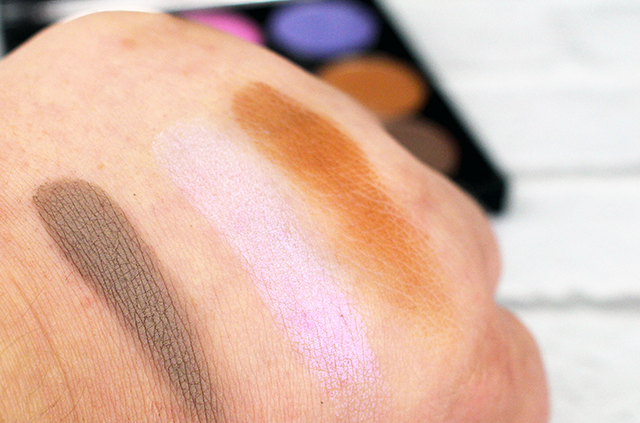 I love the shades that Makeup Geek has in their palette. I will look for these where I shop for makeup. I love that MG gives you options and that you can even create a custom palette. Love having the ability to create a custom palette. So many times I will get a set of colors and won’t end up using one or two of the colors. This lets me be 100% certain I’m getting the colors I like. These colors are so bright! I love that this is fully customizable! This would make an excellent stocking stuffer!! This is such a great palette. I love all the elegant colors and how they can be matched to so many great looks.